Malta has always produced excellent Junior handlers. 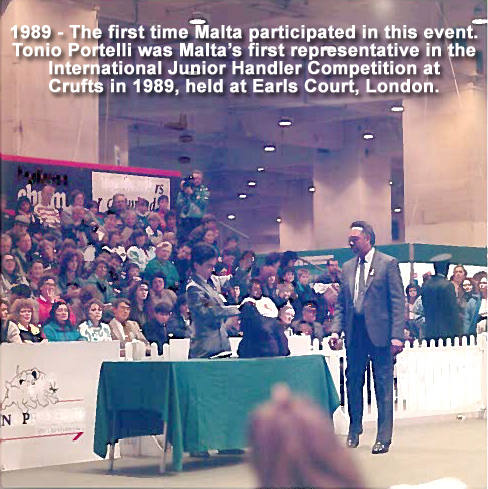 In 1989, Malta started participating in the International Junior Handler Competition, a prestigious event held every year at the World's biggest and most prestigious Dog Show, held in the U.K. Below is the list of the Maltese Juniors who represented Malta at this event. 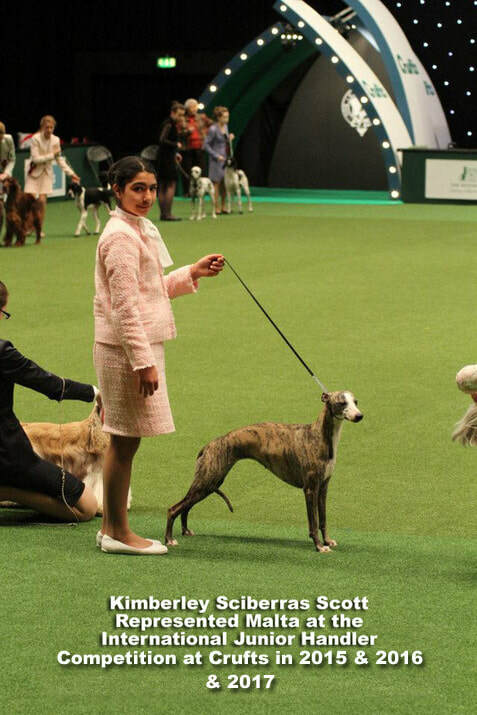 The year shown is the year in which they participated at Crufts, meaning that the participant won the Junior of the Year in Malta the previous year. The Junior gaining the most points in the local competitions during the year is chosen as the Maltese representative for Crufts. 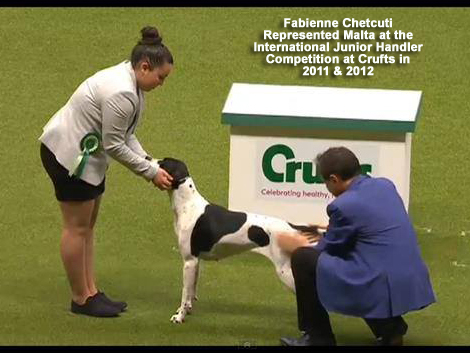 The Maltese Junior Handler for Crufts has been supported by Midland Counties Canine Society since 1999.